Kaplan viola strings produce a rich and complex tone. Conceived for the most discerning musicians, they stand up well to extreme bow pressure, allow a diverse tonal palette, and provide a powerful but warm sound. 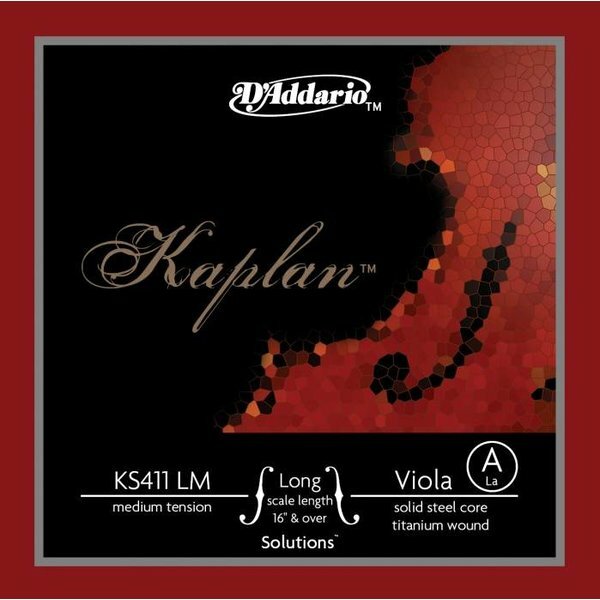 The Kaplan Solutions viola A string is designed to add power and projection in high registers, producing a bright and open sound. It can sustain extreme bow pressure. This A string is sized to fit a long-scale viola (body length 16-16 1/2 inches) with a playing length of 15 inches (380mm). Medium tension strings are optimized to the needs of a majority of players.